Founded in 1961 by French fashion designer, Yves Henri Donat Mathieu-Saint-Laurent, and partner Pierre Bergé, Yves Saint Laurent is one of the world’s leading fashion and beauty brands. Their legendary smoking suit, the first tuxedo for women – Le Smoking – was introduced in 1966, with the sheer blouse closely following in 1966 and the jumpsuit in 1968. 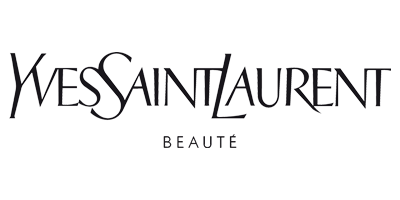 In the 70s, Yves Saint Laurent added a beauty line and was the first makeup and fragrance line to have a fashion house’s name attached to it. From resplendent rouge to flamboyant fuchsia, YSL’s lipsticks were the epitome of class, attitude and independence and every woman wanted to wear them. Closely behind came blushers, bronzers, lip liners, mascaras and the coveted Radiant Touche Eclat concealer, which launched in 1992 and today is sold every 10 seconds. YSL beauty is now one of the most iconic brands in the world, synonymous with style, elegance and sophistication.